Book sales to support Animal Charities ~ Get your copy and Help Us Help Our 4-Legged Frynds I will be donating all of my author proceeds from the 1st 1000 books sold to Animal Charities to help those animals that were unfortunately abused. Also available is "What's Your Name? Life as a Rock 'n' Roll Dog" http://www.amazon.com/-/e/B00ID7PXK4 "What's Your Name? Life as a Rock 'n' Roll Dog" Book sales to support Animal Charities ~ Get your copy and Help Us Help Our 4-Legged Frynds I will be donating all of my author proceeds from the 1st 1000 "What's Your Name? Life as a Rock 'n' Roll Dog" books sold to Animal Charities to help those animals that were unfortunately abused. 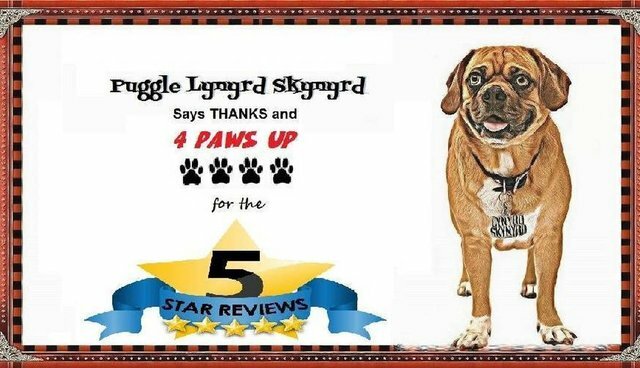 Check out my interview with author Geri Taylor: https://g2taylor.wordpress.com/2015/01/20/ed-gellocks-lynyrd-skynyd-the-puggle-not-the-band-is-one-memorable-real-life-character/ Please share this information with your friends. Please order my books and Help Us Help Our 4-Legged Frynds.